Some people have asked me why come up with a limited release malt? My answer was simple because we can! Ok let me explain, we are a medium size craft malting focused in producing malts to the craft brewer. Craft brewers are innovative and have to think outside the box if they are going to take on the multinationals giants of this world. We decided to keep innovation at the forefront here at Gladfeild and to come up with limited release malts for you to play/brew seems a perfect fit. Limited Release malts will keep our lineup interesting; will also keep our maltsters (Doug and Caleb) on their toes and always thinking of new ways of roasting or kilning our malts; and will ensure that I will have something new for brewers to try. Most of all it will allow the brewer to have fun with our malts and come up with beers never brewed before, giving you them the competitive advantage. RedBack Wheat is a germinated wheat malt which we roasted it using the same recipe as our RedBack Malt. The aim was the wheat grains perform on our roaster. We were impressed with the results, hence the thought of limited releasing it. Perhaps you are asking, what if I like this malt too much and want to continue using it on my beers? 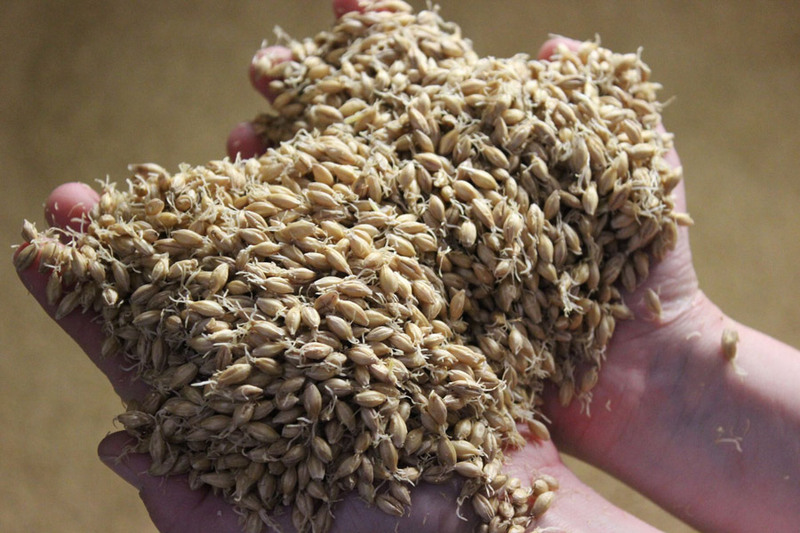 All the malts we make, we can replicate easy enough, so if you want, we can make it again. We have other limited malts in the pipeline, and the next two will be from Rye and Maize, so watch this space. If you have a malt/grain in mind that you would like us to have a go malting it for you, let me know, we are always looking for a challenge.